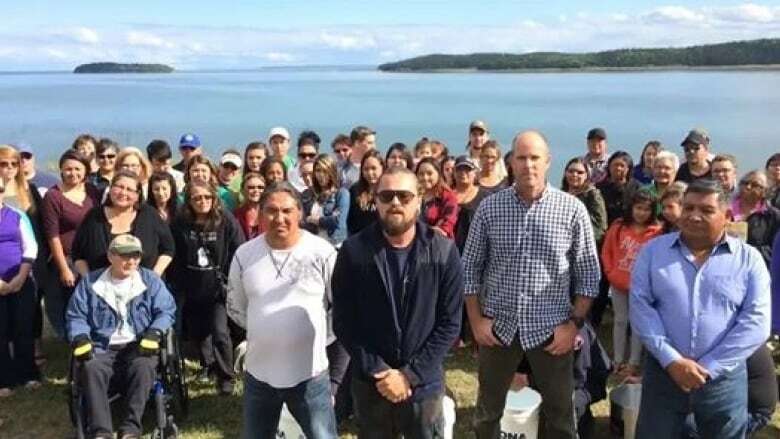 The Oscar-nominated star of 'The Wolf of Wall Street' posted a video on his Facebook page of him doing the ice bucket challenge with two First Nations chiefs. Afterward, he called out Harper to do the same. Actor Leonardo DiCaprio has nominated Prime Minister Stephen Harper to do the ice bucket challenge. DiCaprio was in northern Alberta last week visiting the oilsands to do research for an environmental documentary. The Oscar-nominated star of "The Wolf of Wall Street" posted a video on his Facebook page of him doing the ice bucket challenge with two First Nations chiefs. "Hello from Lake Athabasca, we're here learning about the Canadian tar sands," the actor wrote in the accompanying post. "We took a moment to join the #IceBucketChallenge movement in support of the ALS Association. My friends Chief Adam of the Athabasca Chipewyan First Nation challenges Dave Collyer president of Canadian Association of Petroleum Producers, Chief Courtoreille of the Mikisew Cree First Nation challenges Mark Little of Suncor Canada and The Sierra Club President Michael Brune challenges Shell CEO Ben van Beurden." Afterward, DiCaprio called out Harper to do the same. Harper's press secretary says the prime minister had been already challenged by others last week to either dump a bucket of ice water over his head or make a donation, and he's made a donation to the ALS Association. The association raises money for Lou Gehrig's disease research and assistance. "The Prime Minister was challenged by others last week and posted the following message on Twitter: @pmharper: Thanks everyone for the #IceBucketChallenge nominations. Laureen & I will be making a donation to support the @ALSassociation," Carl Vallée said in an email to The Canadian Press. "Obviously, the donation has been made since (to ALS Canada)." Since the ALS Association began tracking the campaign's progress on July 29, it has raised more than $53.3 million from 1.1 million new donors in what is one of the most viral philanthropic social media campaigns in history. DiCaprio has a long history of involvement with the environment. He sits on the boards of several international conservation organizations and started an environmental charity foundation in 1998. The controversial oilsands development near Fort McMurray has seen a string of high-profile visitors in recent years. They include human rights leader Archbishop Desmond Tutu, musician Neil Young and Oscar-winning film director James Cameron.